Bollywood’s stylist star and the Aisha of Bollywood, Sonam Kapoor although never talks or opened up about her relationship but she has been giving subtle hints about and sharing pics of her rumored boyfriend Anand Ahuja. Her social media pictures indirectly have made people think over her relationship with Delhi based businessman Anand. Even after being questioned, she claims to be a single lady who is too fond of her style and life. Some rumors suggested recently that Sonam Kapoor is getting married next year to which Sonam angrily said that the media is mad and should just let her live her personal life. Even after so many statements, the rumors and perceptions about her relationship status seems to never die. 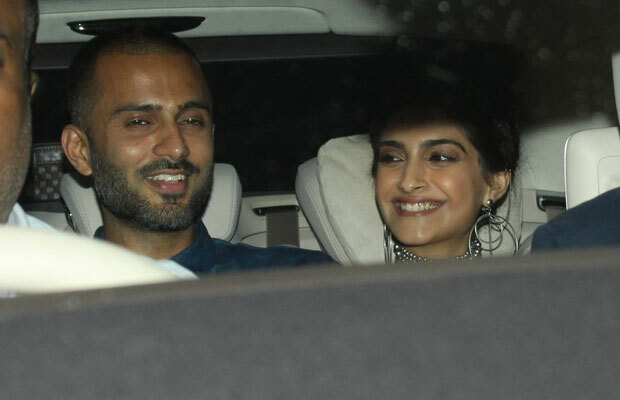 Recently, Sonam Kapoor was seen sharing a Boomerang post and that indirectly conveyed love to Anand Ahuja through a caption. This is what Sonam Kapoor wrote in her post, “Pyaar koi toofan nahi hai joh aaye aur duniya badal de … woh toh zindagi ke chote chote lamhon mein hota hai” Pinky Bose -Aisha … @iradubey love you lots… and miss you tons!! #Aishathemovie #Aisha #pinkybose @anandahuja. Well! It’s the last tag that took all the attention. Let’s see when Sonam Kapoor officially declares her love life till then let’s enjoy her social media profile. Next articleExclusive Bigg Boss 10: Bigg Boss Takes Immediate Action After Om Swami Threatens Rohan Mehra!